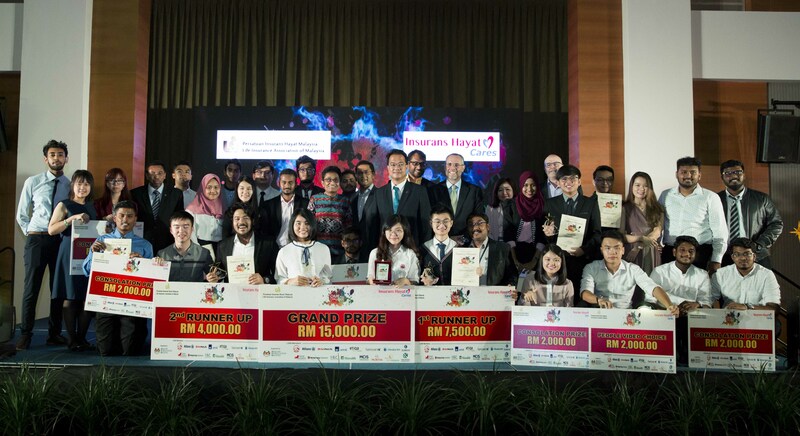 Lee Ming Ching, a solo participant from Universiti Malaya bagged a total of RM17,000.00 cash for the Grand Prize of RM15,000 and the Best Video Award of RM2,000 at the Grand Finale of the #IDAREYOUChallenge2017 held on 3 September 2018 at Lanai Kijang, Bank Negara Malaysia, Kuala Lumpur. Lee Ming Ching outshined nine other finalists from three Universities with the most creative business plan and the best video on the topic, “Explain some ways on how the rural areas and underinsured markets can benefit from Life Insurance.” Lee Ming Ching’s proposal won the hearts of the jury with her presentation and research work done in her hometown in Pulau Ketam, Selangor highlighting the needs for life insurance and financial protection among the residents. 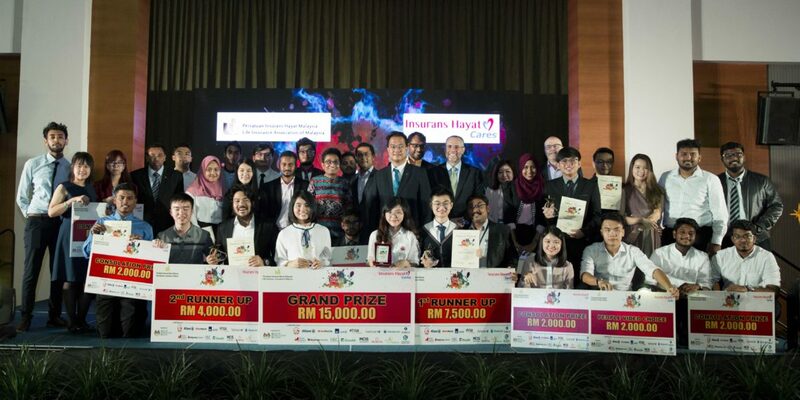 The 1st Runner Up went to Group Eleven from the Asia Pacific University who took home RM7,500 cash with their winning topic, “Why Is Life Insurance Very Important in Everyone’s Life Especially Today? The proposal from Group Eleven attracted the jury with an “out of the box” idea on how you can protect the lives of your loved ones just by one simple way – Giving a Gift, as life itself is a Gift. Meanwhile the 2nd Runner Up went to Nathaniel, another solo participant from IACT College (Advertising, Communication and Technology College), who spoke on “How Can You Reach Out To Everyone To Have A Life Insurance?” which won him RM4,000 cash.